This movie combines elements of "The Matrix," "Purple Rain" and "Boyz and The Hood." By day Norris McDonald works as an environmentalist. His main program is operating the "Compton-To-Catalina" Program, taking kids from Compton, California to Santa Catalina Island. 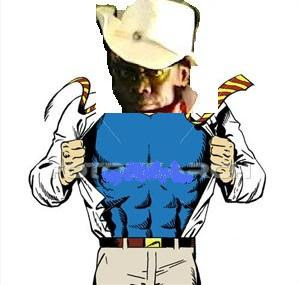 By night, McDonald fights community and environmental crimes as Environment Man. McDonald's girlfriend works for the Los Angeles Times. She's gorgeous and smart and fun and brings out the personality in wonkish McDonald. Environment Man is McDonald's alter ego and is everything McDonald is not: brash, arrogant, a rock star, eccentric, narcissistic, reckless and juvenile. 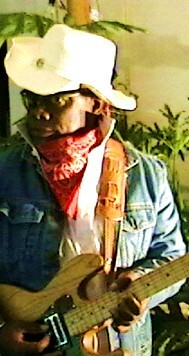 He rocks out at an outdoor amphitheater each night for the tourists and regulars on the island. Eman and his bandmates play hard and party hard. This makes it a bit difficult for McDonald to do his policy work during the work week. McDonald is secretly building a new type of nuclear power plant on the backside of the island. The Pebble Bed Modular Reactor has only been built in China and McDonald is working with the Chinese to secretly build one here on the island. The reactor is completed and is ready for a test. Unbeknownst to McDonald, if the modular reactor works, the Chinese are secretly planning to utilize the modular reactors in a new fleet of submarines and aircraft carriers. Meanwhile a new drug that has the properties of marijuana, cocaine and alchohol has entered areas all over the country. It has taken a particularly pernicious hold in Compton. It is being produced in massive underground warehouses in Compton and the gangs are engaged in all out warfare to try to control the street marketing of the product, which is called wussy. The DEA makes a raid on one on these fortified drug warehouses and all 100 DEA agents are killed. The National Guard is also repelled. The governor calls on the president to utilize the Defense Department to destroy these warehouses. Outrage ensures after a B-2 bomber is used to take out one of the sites with a bunker buster bomb. The warehouses are free to crank out wussy full-time after this. McDonald is impressed by a brilliant high school student on one of the island tours. He allows her to intern with him. 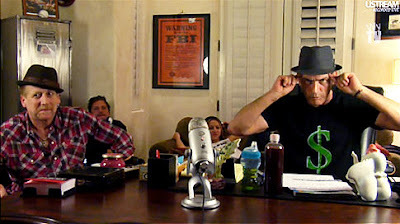 The downside of producing wussy is that it requires a lot of energy. The drug lords are using diesel fuel and it requires railroad cars of oil shipped in every day. They even have piplines bringing the oil in. But it is producing massive amounts of air pollution and making the L.A. area's air even worse. A drug lord stumbles upon the secret reactor while yachting on the windward side of the island. They discover McDonald is behind it and scheme to get the reactors for their own energy use. They kidnap his intern and threaten to kill her if McDonald does not cooperate. McDonald finds out what the Chinese are up to and confronts them. They kidnap McDonald's girlfriend and threaten to kill her if he does not cooperate. Environment Man recruits the members of his band, who are ex military and quite skilled, to retrieve his intern and girlfriend. With help from the Obama administration, they are equipped with the best weaponry available. After rescues there is a final concert scene with rocking the house. Pan up from the island's leeward side and numerous black boats are heading to the island with gang lords. Numerous Chinese military vessels are also approaching the island on the windward side. 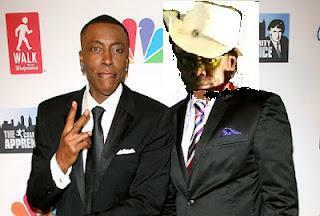 Arsenio Hall - New Talk Show - New Co-Host? Will EMan be Arsenio Hall's new co-host? Speculation has it that Eman would be a combination of Ed McMahon, Doc Severinsen and Flavor Flav. That's right. 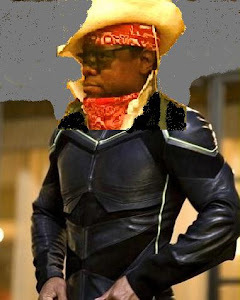 Eman would be sidekick and band leader. Arsenio has been chatting up getting a new chat show lately. His win on Donald Trump's "Celebrity Apprentice" definitely raised his profile. 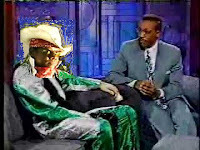 When Arsenio gets his new show, he will be challenged to show that he is current. It has been some time since Hall stepped away from his massively popular late night talk show. Why mess with success. He can utilize his old formula because it was successful. But he needs something new and different. EMan is that something new and different. In fact, at this point in his life, Arsenio Hall really has nothing to prove. So he should give Eman the room to try to upstage him every night. It will push Hall to excel in what he does best: wow the American public. Background: Environment Man is the epitome of the post-ironic 21st century American cultural attitude who combines environmentalism with capitalism and melds it into a character that is completely contemporary. 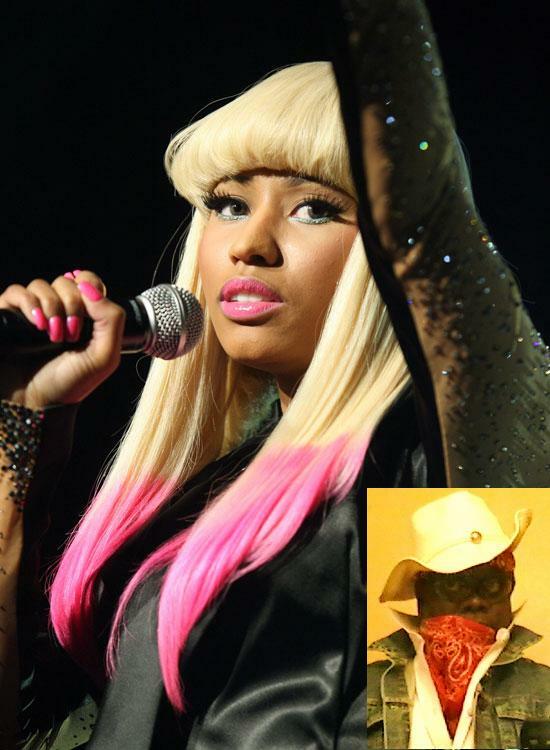 Onika Tanya Maraj, better known as Nicki Minaj, is being linked to Environment Man. The hip hop world rumor mill is not confirming whether the link is professional or romantic. Reps for both would not comment for the record. Their fans want to know if they will perform together in 2012. Minaj achieved commercial success after releasing three mixtapes between 2007 and 2009 and being signed to Young Money Entertainment in August 2009. Minaj released her debut album, "Pink Friday" in November 2010. It quickly became a commercial success, peaking at number one on the U.S. Billboard 200 and being certified Platinum by the Recording Industry Association of America (RIAA) a month after its release. 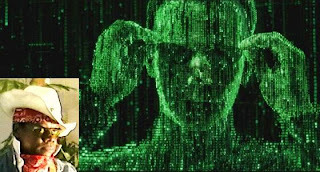 Wachowski Brothers To Cast Eman in New Matrix Trilogy? Rumors are running rampant about the prospects for a new Matrix Trilogy. The original trilogy transformed the brothers from small-time carpenters to fabulously wealthy and powerful Hollywood players. The Wachowski Brothers have become more reclusive since the first Matrix came out in 1999. They haven't given an interview in four years, and under an unusual deal with Warner Brothers, they never have to talk to the press. Anyone who works on a film with them is made to sign a nondisclosure agreement. Eman is just as reclusive as the Wachowski Brothers. He too requires anyone who works with him to sign a nondisclosure agreement. Yet these two camps appear to be on the verge of collaborating on the next Matrix Trilogy. It is being rumored that Eman is being considered to appear in the next 3 films. The nature of his participation is a highly guarded secret. However, Eman's cult following hopes that he will have an acting role as well as performing musical numbers. 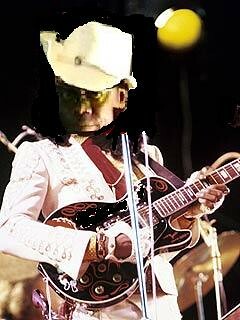 Imagine Eman jamming for the machines on the machine world. Joel Silver is the power behind the Wachowski Brothers. 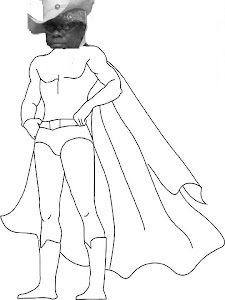 He could also become the power behind Eman. Silver gave his blessing to a small, independent film the Wachowski's had written, "Bound,' a crime drama about two lesbians stealing from the mob. Eman loves the film. Environment Man on Oprah's Next Chapter? The Hollywood rumor mill is hot with news about Eman possibly appearing on "Oprah's Next Chapter," which debuts on New Year's Day. The two-hour premiere will air at 9 p.m. and will feature Oprah with Aerosmith's Steven Tyler. Oprah's Next Chapter will feature Oprah talking to people outside of the studio. Eman is the ultimate outdoorsman and if he chooses to appear on the new show, it will surely include an interesting location. Think Cheasapeake Bay or Catalina Island. Eman's dynamic performances and cult following could boost the network's young network's ratings. Fine. But the people wanted Eman to perform. His cult following in the San Fernando Valley and Hollywood were anticipating that the Emeister would perform his smash hit, "Lisa Jackson." Environment Man measures his existence on the orbit of the Moon around the earth and on the rotation of the Moon. Of course, it is extremely difficult for the average human to calculate the number of Moon years of one's existence. The mystery of Eman continues. 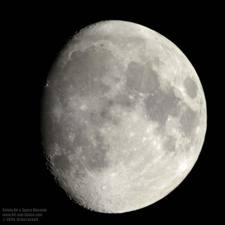 The rotation of the Moon – or a lunar day – lasts around 27.3 days. This is the same amount of time the Moon takes to complete one orbit around the Earth. Because the rotation of the Moon and the length of its orbit are exactly the same, the Moon always presents the same face to the Earth. In a time of global climate change, debt debates, inner city murder, unemployment and terrorism, a superhero has emerged to mitigate the corrosion. 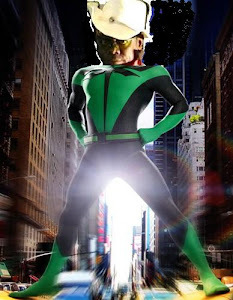 Nuclear powered and photovoltaically tanned, Environment Man is friend to the poor, enemy of the evil doers, and dangerous to those ruining the Earth. Of course, a superhero must have his down time. Eman retreats to his backyard garden to tend the corn, squash, zucchini, peppers, tomatoes, watermelons, canteloupes, cucumbers, broccoli and flowers. It recharges his lithium ion battery. Moreover, security lighting is provided by solar powered motion lights. The backyard and garden are wildlife and plant reserves. Squirrels munch the corn and tomatoes. Groundhogs munch the broccoli. The deer eat the melons whenever the opening door is left open. And then there is the organic fence, constructed from wood products from the nearby forested area. After a hard day of climate fighting and private sector challenges, Eman retreats to his very own fortress of solitude. "It is now, it is always, it will be.....Environment Man." Earth Day: Eman On Mall With Lady Gaga & Charlie Sheen? 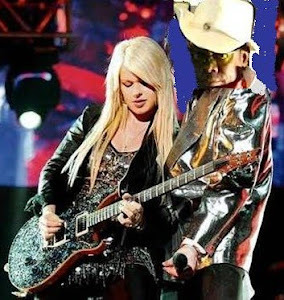 The rumored set list includes Eman's mega hits "Lisa Jackson" and "Global Warming.' His ten minute set will include these numbers and Eman just might perform "Toxic Waste." Eman's spokepeople have shared that Eman is saving his super hit "Acid Rain" for a nighttime gig somewhere at one of Washington, DC's underground venues. Eman To Be Music Host For Sheen's Korner? UPDATE: WILL EMAN OPEN FOR SHEEN ON HIS TOUR? 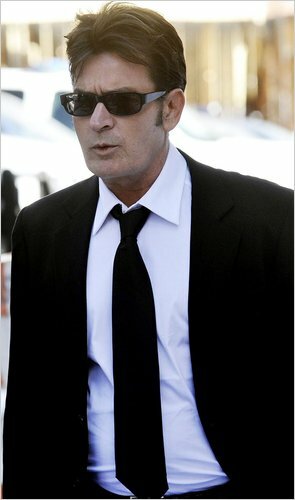 Charlie Sheen's internet show, Sheen's Korner, is a huge worldwide hit. Methane is not discussed but passed. No hydraulic fracturing needed by Charlie and his posse. Rumor has it that Eman might be joining that posse via live Skype from his Santa Catalina Island single wide retreat. Will Natalie Kenly provide background vocals. Inquiring minds want to know. Sheen, right, is at the top of his gaem with estimates of 100 million tuning in for his new online show. Eman , left, should easily bring millions more to that count. Eman's chat board cult status should propel the show to new heights. An E spokesperson says possible discussions about possible particulars are possibly being worked out now. Asked why Eman prefers to appear from his island retreat instead of Sheen's Beverly Hills mansion, Eman stated, "Technology makes it possible for me to be there without burning fossil fuels." Eman is possibly considering the possibility of developing programming for billionair Mark Cuban's HDNet. Charlie is talking to Cuban about a new show too, but Charlie is under contract to CBS and Warner Brothers. "Dan Rather Reports" is on HDNet. Environment Man To Perform at American Music Awards? Rumor has it that Environment Man will take to the stage at the American Music Awards live from the Nokia Theatre on November 21. Eman is the latest musician announced as a performer on the show, joining Bon Jovi, Pink and Usher. 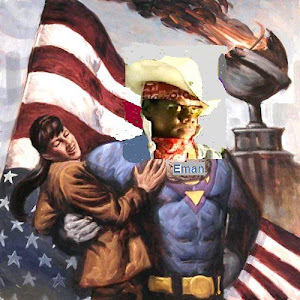 Go vote for Eman for Favorite Artist at the American Music Awards site. It has to be a write-in vote for Eman because he did not qualify in time to be listed on the official voting board. Cast your votes for the 2010 American Music Awards! Make your picks in all 19 categories before voting ends on Friday, November 12, 2010. The winners will be revealed live during the 2010 American Music Awards on SUNDAY NOV 21 87c. "Environment Man is known for his powerful and engaging performances," MAM producer Larrie Kline said in a statement. "We are looking forward to his 'Global Warming/Climate Change' number. Eminem is up for five awards at the 2010 AMAs, tied with country juggernauts Lady Antebellum for the most nominations. Justin Bieber scored four nods, while B.o.B, Katy Perry, Ke$ha and Usher are each up for three. Lady Gaga, the Black Eyed Peas, Rihanna and Drake are also nominated in various categories. Environment Man's mega-hit music video honoring the U.S. EPA Administrator "Lisa Jackson" is featured on the leading environmental magazine in the world, Grist. Environment Man To Play Gig at Stewart - Colbert Rally? "a rally for the people who've been too busy to go to rallies, who actually have lives and families and jobs (or are looking for jobs), not so much the Silent Majority as the Busy Majority." 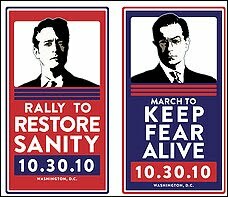 "On October 30, 2010, I am calling for the nation to join me on the Washington Mall for the March to Keep Fear Alive. Shame on you, Jon Stewart -- America cannot afford a rally to restore sanity in the middle of a recession. . . . Did you even consider how many panic-related jobs that might cost most of us in the fear-industrial complex?" Although the permit has not yet been issued, there aren't any hugely outstanding issues that would prevent or bar the signing of a permit. Although both Stewart and Colbert mentioned the Mall in their announcements, the permit application is for the north side of the Washington Monument grounds -- which does not include the Lincoln Memorial, Reflecting Pool or what is known as the Mall. Of course, that would put the White House in the background of the rally. 1) "Mother Nature: You Were Always On My Mind,"